Elin, I love tom yom, I bet this fried rice is very delicious. I also wanna be one of your piggies la. 8 grain rice is brown rice is it? Mmm...my children would love this...spicy and delicious. 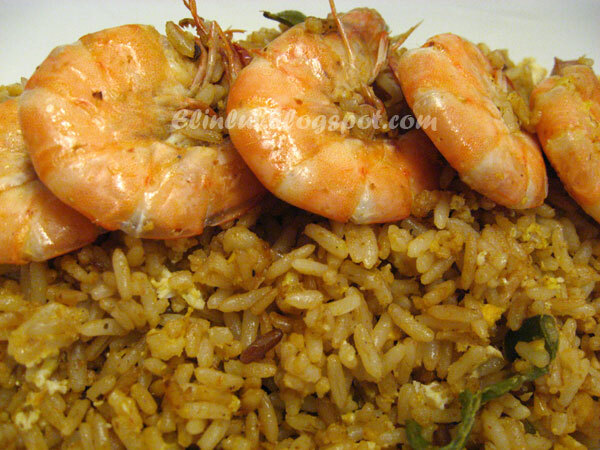 I would dive for the prawns :D Your rice looks so healthy. This is not funny. It's the morning, I should be getting my oatmeal, and now I only want this. Tes, I just drooled, too! 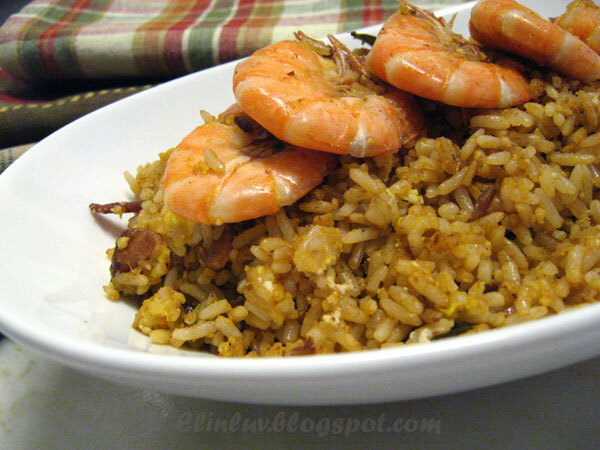 This fried rice with the tom yum paste sounds very appetizing. Elin, wow I must try this recipe out very soon. Sounds so addicitive. Thanks for sharing. Have a nice evening. 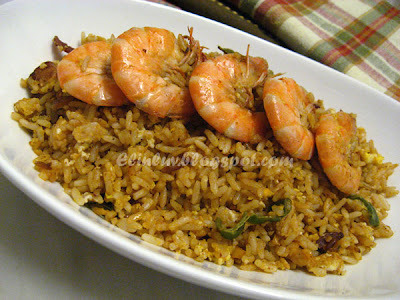 wahh... my girl loves tomyam fried rice..this evening she took pattaya.. hahaa..
Oh Tom Yom!! mmmmm! I love the rice - that is one delicious yummy meal! What a delicious looking and sound fried rice. If this is what you prepare when you are feeling tired and lazy, as you said, then there is never a dull meal in your home. Can't wait to try your delish recipe! Woahhh....looks so yummy. Your kitchen must smell so good when you fried this. 9 grain rice sounds like a heatlhy idea. I should try it one day. I love tomyum paste...so easy to make yummy dishes with it. absolutely delicious! i love anything tomyam..soup, noodles, rice..the tomyam paste is so versatile..love it, i'm hungry now looking at this..
Multigrain tom yom rice! wow...this looks and sounds just mouthwatering! 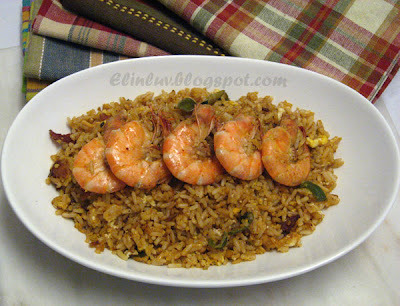 I fried brown rice with tom yum paste earlier, but was not have bird's eye chilies, so less oumph. Belinda and Tes...you both are funny alright :) LOL! Hey this one dish meal is so salivating. Can smell it from the screen. But the 9 grain rice, haven't tried before, may do so one fine day!